Injuries are common in all kinds of sports. 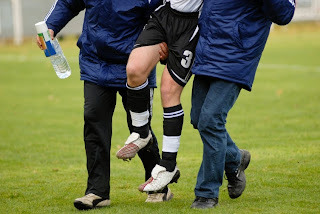 Acute injuries may result suddenly while involving in sports or exercises. Severe pain can be the product of such kinds of injuries and this will make the movement of damaged part difficult. On the other hand chronic injuries can be resulted from the continuous use of particular part of the body. Any body parts can be injured. Management of the sports injuries depends on the severity and location of the injury. The strong ligaments around the knees may become sprained or torn. Most of the knee injuries are sprain and can be healed quickly. Shin splints can affect runners. Bone fracture and joints discoloration may also occur. This kind of severely painful injuries are most common in professional athletes, soccer players, football players and basketball players. This debilitating ligament knee injuries could end career of many players. The anterior cruciate ligament (ACL), posterior cruciate ligament (PCL), medial collateral ligament (MCL) and lateral collateral ligament (LCL) are the knee ligaments more prone to injuries during sports. Tearing of meniscus is an another common knee injury. Forceful rotation or twisting of the knee can be major cause of torn meniscus. Each knees consist of two c-shaped cartilages that act as cushion between shinbone and thighbone. Injuries to the meniscus usually show signs like swelling, severe pain and stiffness in the knees. 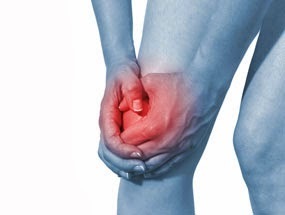 It can cause persistent knee pain. The players who participate in contact sports like football and hockey are at an increased risk of knee meniscal injuries. Physical therapies, medications and surgeries are the treatment options. Cartilage is tough and flexible tissue which acts as shock absorbers, found throughout the body. The types of cartilages are elastic cartilage, fibrocartilage and hyaline cartilage. Knee cartilage injury is a common type of injury mostly results from sports activities. The symptoms are swelling, joint pain and stiffness reduced movement of affected area. All the above types of cartilages can be affected. Physiotherapy and use of anti-inflammatory drugs are effective in relieving pain and related effects of injuries. 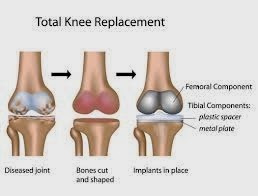 Knee replacement or hip replacement surgeries are recommended for chronic conditions. Patellar instability is the morphologic patellofemoral joint abnormality which can consequently lead to hazardous patellar dislocations. Sudden twisting damages to the knees can result in patellar instability. Many of the patients with first time patellar instability, will avoid recurrent dislocation through conservative management. Chronic patellar instability, if left treated, can lead to severe arthritis. Aim of the surgery is to treat the knee damage produced by patellar dislocation. Shoulders are the part of the body that are most vulnerable to dislocation and other injuries. Shoulder dislocation occurs when the completely displacement of the head of the humerus called the ball out of the the socket (glenoid) takes place. 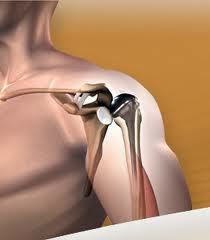 It happens when direct blow to the shoulder occurs or from repeated and forceful throwing in sports. Repeated dislocation can lead to recurrent dislocation of the shoulder and shoulder instability. Arthroscopic bankart repair, open bankart repair and bony operations are surgical procedures used for treating shoulder trans location. Patients with shoulder instability should have to undergo surgeries to come back to regular life. Non-surgical procedures are suitable for those who are not involving in strenuous activities and sports. A rotator cuff tear is a major cause of pain and disability in most of the people especially in adults. A torn rotator cuff in your shoulder will make your shoulder weaker. This can make your daily activities more difficult to perform. Injuries and degeneration are the two major causes of rotator cuff tear. Surgical and non-surgical procedures are available for the treatment of rotator cuff tear. Non-steroidal anti-inflammatory medication, muscle strengthening exercises and physiotherapy and steroid injection are the common non-surgical treatment options. Surgeries are recommended if you are not getting benefit from non-surgical procedures. Dr. Raju Easwaran , one of the best sports medicine specialist in New Delhi specializes in providing comprehensive sports medicine services including the diagnosis and treatment of athletic injuries. Injuries in sport happen as a result of external force from outside your body or internal force from inside your body. The menisci are cartilage tissue which act like shock absorbers in the knee joint. A meniscus can be torn, commonly after a forceful twisting injury to the knee. Symptoms include pain, swelling, and locking of the knee. Some heal by themselves, but an operation to fix, trim or remove the torn meniscus may be advised. If the knee keeps locking up and can't be straightened out, surgery may be recommended as soon as reasonably possible to remove the torn part that is getting caught in the knee joint. But even a less severely torn meniscus may not heal on its own. If symptoms continue after non surgical treatment, surgery will probably be suggested to either remove or repair the torn portion of the meniscus. Surgeons use an arthroscope during surgery for an injured meniscus. Small incisions are made in the knee to allow the insertion of the camera into the joint. Most knee procedures are performed arthroscopically.During arthroscopy, your surgeon makes three small, puncture incisions around your joint using an arthroscope, a small device with a camera that provides a clear view of the inside of the knee. With improvements to arthroscopes and higher resolution cameras, the procedure has become extremely effective for both the diagnosis and treatment of knee problems. Patellar (kneecap) dislocations occur with significant regularity, especially in younger athletes. Most of the dislocations occur laterally (outside). When these occur, they are associated with significant pain and swelling. Following a patellar dislocation, the first step must be to relocate the patella into the trochlear groove. This often happens spontaneously as the individual extends the knee either while still on the field of play or in an emergency room or training room as the knee is extended for examination. Occasionally relocation of the patella occurs spontaneously before examination and its occurrence must be inferred by finding related problems.